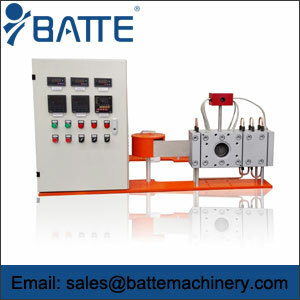 Single plate continuous screen changer also can be called slide plate double working station continuous screen changer,Which is designed to maintain constant pressure during the polymer processing. 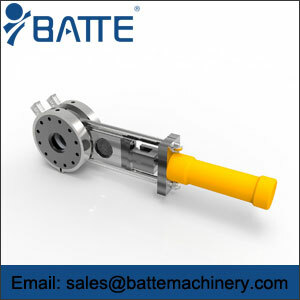 This type of plate type screen changer work alternately for quick screen changing operations. 1.Two cylinder hydraulic screen changer works simultaneously: when one net works, the other one replaced. 2. 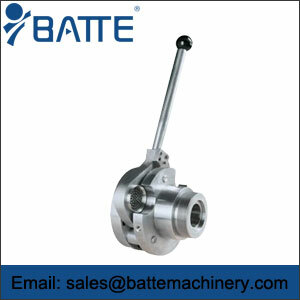 Exhaust system device can fully defuse the gas mixed in the materials and improve the product quality. 3. 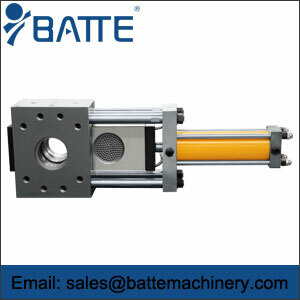 The hydraulic screen changer is designed with elliptical bore which doubles the filtering quantity, and ensuring high output. 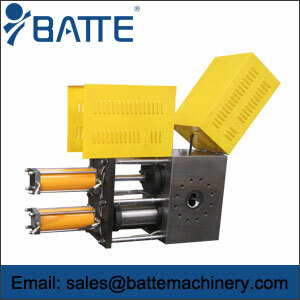 Batte plate screen changer is made of high-performance steel,special processing and heat treatment methods for improved reliability and durability.The continuous screen changer can meet any polymer materials, high temperature, high pressure, high extrusion production, can be used with different standards extruder, do not stop for the network, the product is not interrupted, do not leak.We also manufacture continuous double-piston backflush screen changers and automatic belt mesh screen changer for you.